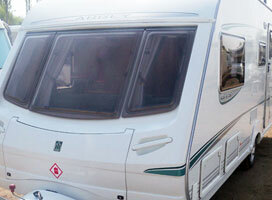 Our leisure vehicle repair centre can repair all makes and models of motorhomes, campervans and caravans. 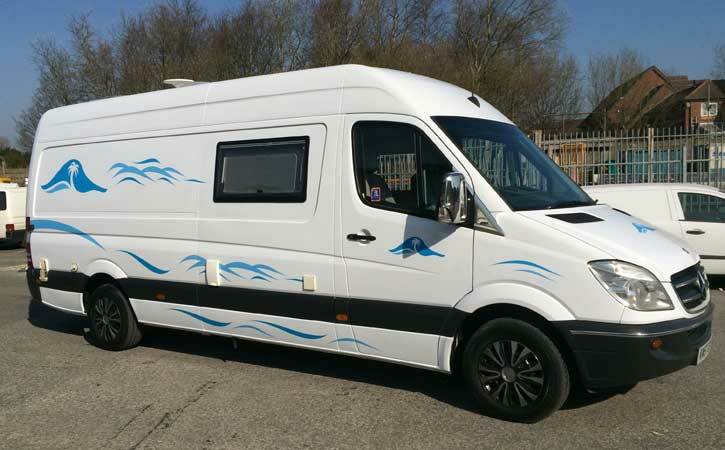 We also specialise in full resprays and part resprays of leisure vehicles - and can provide motorhome, campervan and caravan graphics, sign writing and stickers. We are experts in both fault and non-fault insurance claims, dealing with the insurance companies and third parties direct. 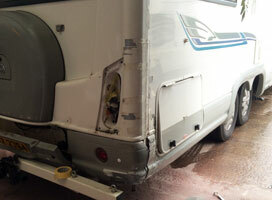 We offer a complete accident repair and spray painting solution for all motorhomes. 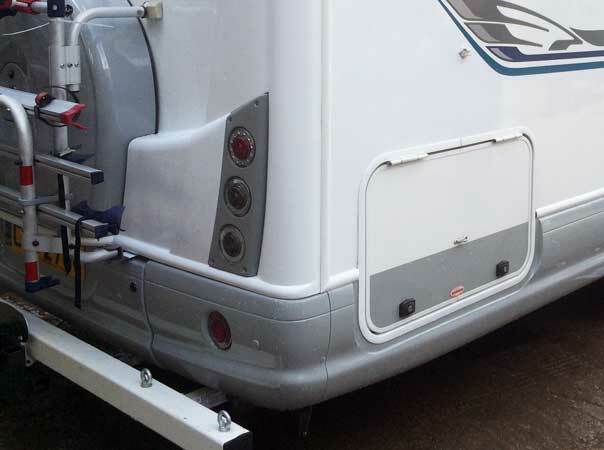 Our motorhome services include full resprays or part resprays, bodywork repairs, welding and panel beating. 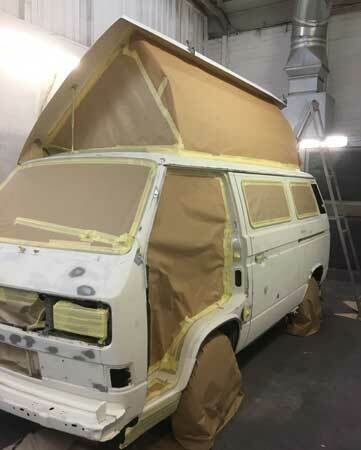 Our body shop and paint shop facilities include a spray paint booth that is capable of taking the largest motorhomes. 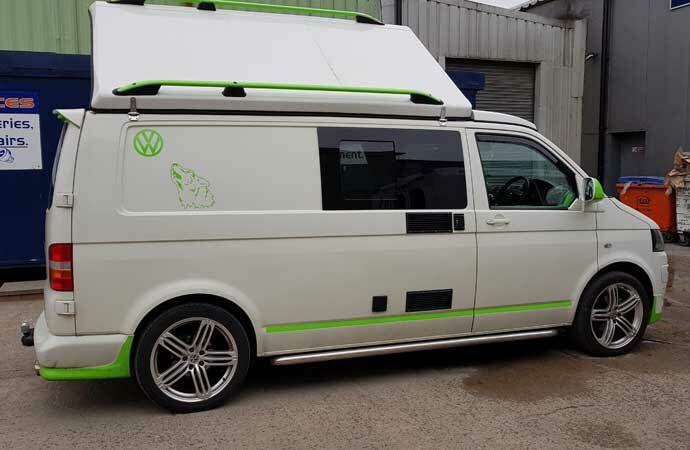 Our body shop only uses a variety of compliant paints linked to a system that provides a perfect colour match every time. 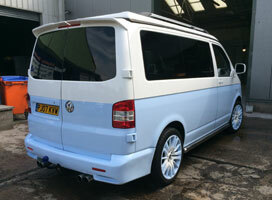 We exceed all current body shop environmental legislation. 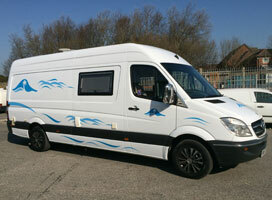 We also offer decal removal, dent repair and can provide graphics, sign writing and stickers for motorhomes. 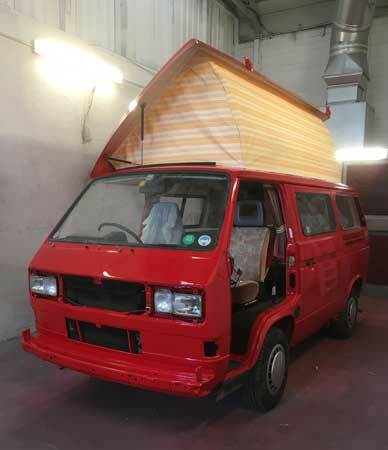 We offer a complete accident repair and spray painting solution for all campervans & campers. 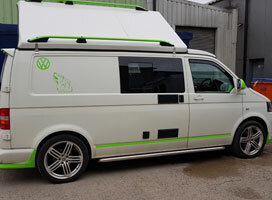 Our campervan services include full resprays or part resprays, bodywork repairs, welding and panel beating. 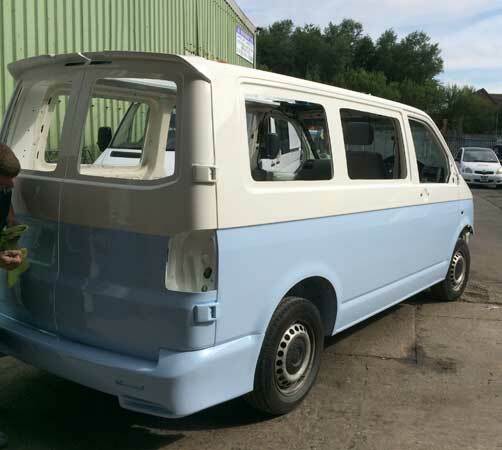 Our body shop and paint shop facilities include a spray paint booth that is capable of taking all campervans. 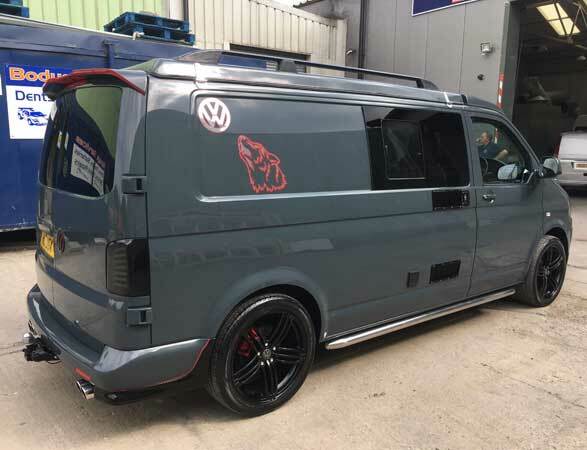 Our body shop only uses a variety of compliant paints linked to a system that provides a perfect colour match every time. 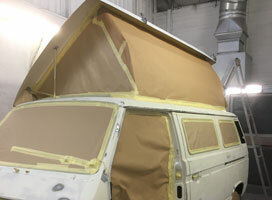 We exceed all current body shop environmental legislation. 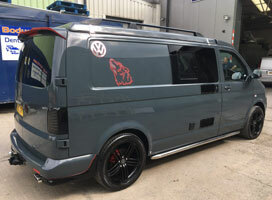 We also offer decal removal, dent repair and can provide graphics, sign writing and stickers for campervans. 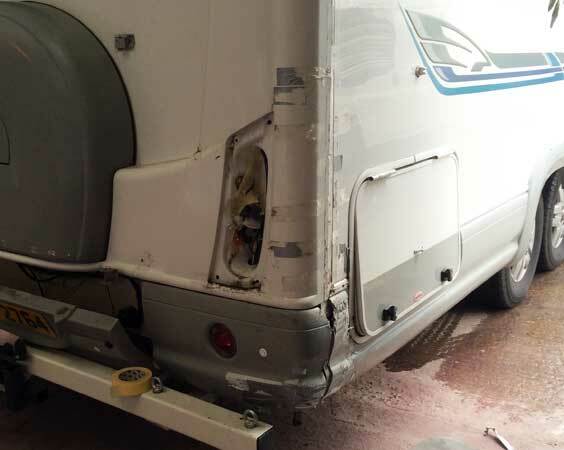 We offer a complete accident repair and spray painting solution for all caravans. 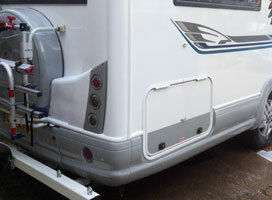 Our caravan services include full resprays or part resprays, bodywork repairs, welding and panel beating. 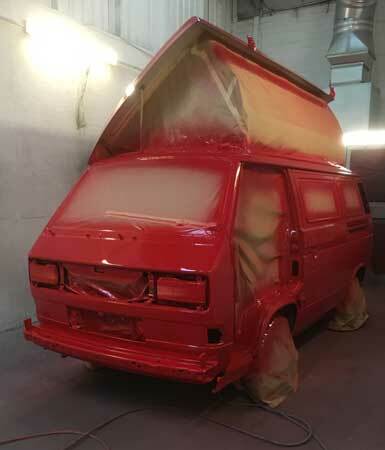 Our body shop and paint shop facilities include a spray paint booth that is capable of taking all caravans. 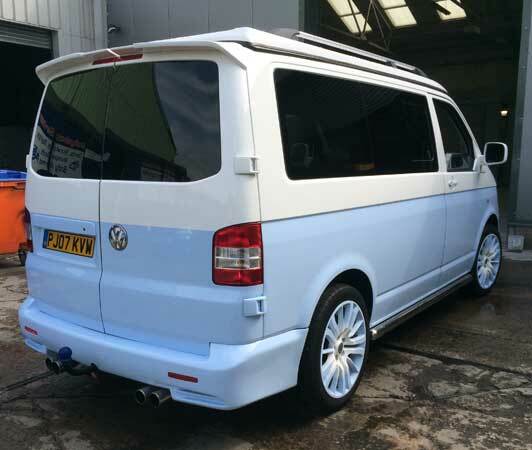 Our body shop only uses a variety of compliant paints linked to a system that provides a perfect colour match every time. 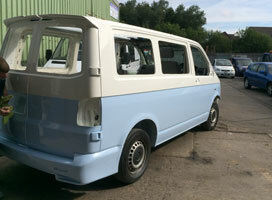 We exceed all current body shop environmental legislation. 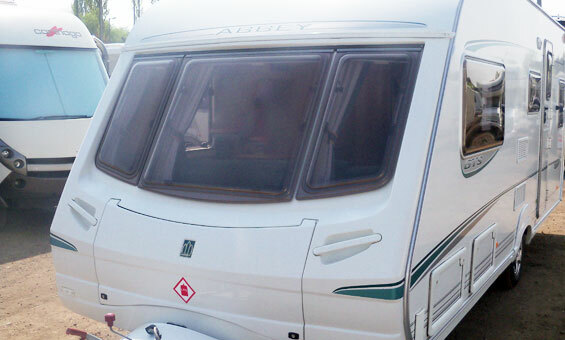 We also offer decal removal, dent repair and can provide graphics, sign writing and stickers for caravans. 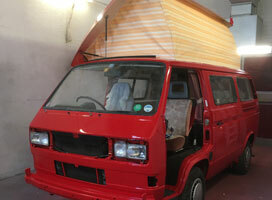 © A6 Bodyshop Ltd., Unit 8A, Westhoughton Industrial Estate, Westhoughton, Bolton, Greater Manchester, BL5 3QR.